Yi Xin Chinese Medical Centre is managed by Darien Huang and Angelina Du (Practitioners of Traditional Chinese Medicine). Both practitioners attained PhD’s in Chinese Medicine in China and prior to immigrating to Australia worked in hospitals. After arriving in Australia, they opened the Yi Xin Chinese Medical Centre to offer services in acupuncture, Chinese herbal medicine and other traditional Chinese medicine modalities. They take a caring and respectful approach. Dr Huang(Chinese Medicine) attended the Guangzhou University of Traditional Chinese Medicine, receiving a PhD in Traditional Chinese Medicine Acupuncture. For his PhD, he completed study in the use of acupuncture for cerebral vascular diseases and acupuncture for the brain. Dr Huang(Chinese Medicine) has had over 25 years clinical experience. He gained extensive experience in hospitals practicing in China before working in Australia. His experience has included acute and chronic conditions. 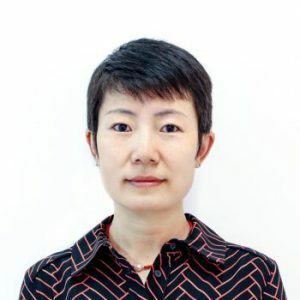 Dr Huang(Chinese Medicine) has a particular interest in working with patients with chronic fatigue syndrome, insomnia, headaches, pain, nausea or vomiting, cough and stress. Dr Huang(Chinese Medicine) has a particular interest with Male health care and fertility issues. Dr Huang(Chinese Medicine) is passionate about treating the whole person and may advise patients on diet and lifestyle factors for health. Dr Huang(Chinese Medicine) works Monday, Wednesday and Friday in the Yi Xin Gordon clinic; and Tuesday,Thursday and Saturday in the Yi Xin Sydney CBD clinic. 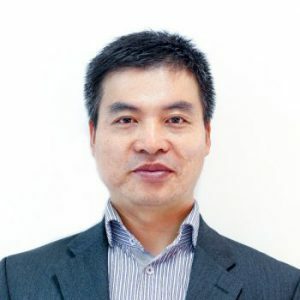 He is a fully registered member of the Chinese Medicine Board of Australia and speaks Mandarin, Cantonese and English. Dr Du(Chinese Medicine) studied at Guangzhou University of Traditional Chinese Medicine attaining a PhD in Traditional Chinese Medicine, Herbal Medicine and Acupuncture. Her PhD, involved study in the use of acupuncture for cerebral vascular diseases. Dr Du (Chinese Medicine) had over 25 years clinical experience. Dr Du(Chinese Medicine) began her career in China working in hospitals and clinics as a traditional Chinese medicine practitioner. Dr Du (Chinese Medicine) worked with patients with chronic fatigue, stress, nausea or vomiting, bloating, musculoskeletal and neural pain. Dr Du(Chinese Medicine) may advise patients on diet and lifestyle factors for health. Dr Du (Chinese Medicine) has a particular interest with irregular period and fertility issues. Dr Du (Chinese Medicine) work on Monday, Wednesday and Friday in the Yi Xin Sydney CBD clinic; and Tuesday, Thursday and Saturday in the Yi Xin Gordon clinic. She is a fully registered member of the Chinese Medicine Board of Australia and speaks Mandarin and English.